Below you will find a brief description of each of the Global Genesis team, a list of our clients, as well as our purpose and values. We are a team of professionals with a proven success record in assisting organizations improve their performance through their people power. We combine extensive experience in both internal management and outside consulting and training with organizations of all sizes, public and private, for profit and not-for profit, encompassing a spectrum of industry and government and serving a global market. Our unique blend of complimentary experience affords us a peripheral perspective of organizational activity – the visionary, strategic, tactical and everyday practical – and how its people resources add value. Our team includes Terry Taylor, CEO and founder, Cathy Taylor, SPHR-CA and HR Generalist, Karen Cvitkovich, and Ben Capell. We work as a team and believe that we must practice what we preach, maintaining high standards of communication, self-awareness, and professionalism. Terry D. Taylor is President & CEO of Global Genesis, and has worked successfully with small non-profits to international Fortune 500 entities, in all areas of the globe and with multi-cultural teams. Terry founded Global Genesis, and specializes in corporate training, coaching, and consulting in the arenas of negotiations, conflict resolution, high performance teamwork and strategic planning. Read more here. Cathy Taylor, SPHR, Vice President of Global Genesis and Principal of Golden State HR (a division of Global Genesis) started her career in HR in the early 80’s, hired to make the people side of the acquisition and merger forming AGS Management Systems successful. As an HR Generalist, Cathy’s experience in compensation and benefits, staffing, employee development, compliance, safety and employee relations is a solid foundation for supporting an organization’s employment needs. She has “created” the HR function for several growing organizations. Read more here. Dr. Ben Capell is a Senior Associate for Global Genesis. He works closely with senior managers and professionals on improving their negotiating skills and helping them become better negotiators. 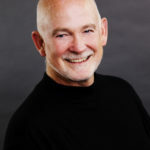 Ben brings close to 20 years of experience consulting and facilitation of trainings for organizations around the world. 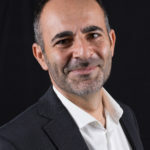 He had the opportunity to design and deliver large scale initiatives to improve collaboration and negotiation in a variety of global organizations. Read more here. 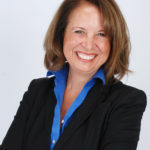 Karen Cvitkovich is a Senior Associate for Global Genesis. She has worked as a Senior Consultant in intercultural consulting, coaching, global negotiations and multinational teambuilding for almost two decades. 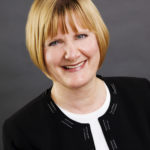 Karen knows firsthand the negotiations and influence challenges of leading virtually and globally from managing a team of over sixty staff and contractors located throughout North America, Europe, Latin America and Asia. Read more here. Now that you know a bit more about us, we really look forward to hearing from you. Please contact us so we can begin helping you.